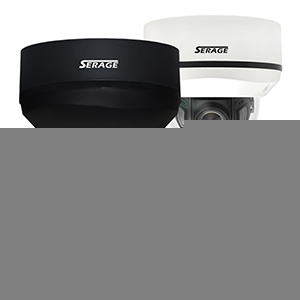 Serage range has been improved and expanded to include IP & HD Analogue Range . G-Tec’s has been leading provider of security equipment, Brand wise . GTec has its own brand Serage, a brand that has built from the ground up, by using their experience and expertise carefully cultivated over a fifteen year period, they have used this and developed a new range of Serage products Covering IP and Analogue HD. Over the Years Serage is known to be a reliable , high quality and an elegantly designed range and Is able to be implemented into any project required. Whatever the application requires Serage has the right product, never compromising on quality and always delivering peace of mind for both the installer and the End user . Who is G-Tec Distribution? Established in 2002, G- Tec is a CCTV distribution company, which has carved its name into the industry to be one of the respected distributors of security equipment in the UK. It has done so by focusing on being on the front lines, cultivating relationships, providing a high quality service, it’s people are very well informed regarding their products and the market as a whole. Add quality products at competitive prices, after sales care, and marketing support to its customers. There is no doubting why they have been around for over 15 years and still they’re growing!. G-Tec is also an authorised Distributor for FLIR and Fermax . All can found on their website.